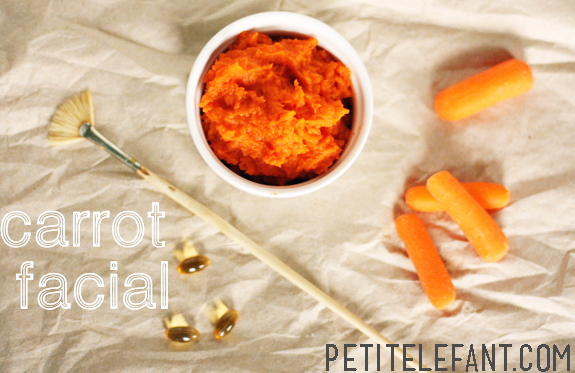 How to DIY facial with fresh and healthy carrots. Carrots are delicious, crisp miracles that work magic on us humans. They’re great to eat raw, steamed, dipped in delicious things, and smothered on faces. ‘Wait, slow down a second. Smothered on faces’, you say? Yes. Totally smothered all over your pretty face long enough to soak in and do some healing all up in there. Your pores love it, and your skin has been crying for it. It’s time, time to make dreams come true, so GIT! Be gone. Go rub some carrots on that face of yours.